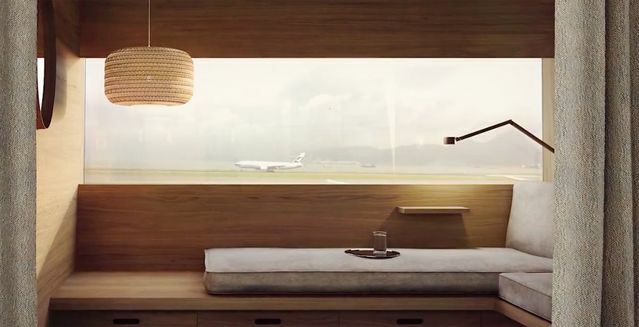 Just wanted to share a few salient details from my recent interview with CX lounge folk (including the head of new lounge design firm StudioIlse) on what's happening with The Pier First Class and Business Class. If The Pier J class lounge is closed, I hate to think about the effect on the other lounges....there will be a lot of warm bodies looking for a seat. If The Pier J class loubge is closed, I hate to think about the effect on the other lounges....there will be a lit of warm bodies looking fir a seat. There are many J lounges, but only two F lounges (only one now - Wing F). I think that should be OK. Pier usually has fewer visitors. Well it''ll probably be for just a few days while they set up the new F section. A shame because The Bridge is currently my favourite lounge at HKG and once The Pier closes, I'm sure it will become much busier. I try to avoid The Pier because whenever I have dropped in (J section) it is usually too crowded for me and not particularly relaxing ! I just hate the idea of one J lounge being out of service for 6 months. The Pier is one of the blander J lounges anyway in terms of food offerings and comfort, about time they make some changes to it. Agreed, I really like The Bridge – so much nicer than The Cabin. Oh my bad. I misread that as closed from early June 2016. I seem to remember that there was talk of plans for a new business class lounge in the 40s gate area. I cannot remember what it was discussed as being called so I can't search for it. That said, I don't recall seeing anything about it for a while so perhaps nothing is actually planned. I'm sure a fellow poster will know more up to date information than me, although in the absence of any recent discussion about it, I'd assume it won't be open before the Pier J closes. That's The Bridge which has already opened. I usually find the Pier overcrowded in the evening peak hours, so I wonder where all those pax are going to go. However, I have also heard some rumours about the upcoming changes for the MPC to be implemented in June. While I wouldn't know how reliable my source is, it somewhat makes sense in reducing the number of lounge visits. Thanks for that Awesom Andy. Goodness I am out of date; there was I expecting a new lounge somewhere along the southwest pier and it's already open at the end of the shuttle train. The Bridge is actually my favourite lounge, more so than the Wing F lounge. Perhaps it will get a bit more crowded when the Pier J closes then. This is what I don't understand - even when The Bridge isn't that busy, The Pier has been rammed, even in the mornings. Do people not know about The Bridge? Indeed....whenever I am passing through, The Wing and The Cabin are always horribly busy, but not many people make it as far as The Bridge - or The Pier for that matter, which is understandable. G16 is also never busy in my experience, and it is my personal favourite, despite the fact that it is a bit out of date! ).